For lots of people learning to drive can be stressful, from the financial investment to deciding what car to get, im here to give you advise and take some of the weight of you shoulders. First of i would like to say that you don’t need a big powerful sports car for your first car, you just need something that’s going to get you around, i have some examples. 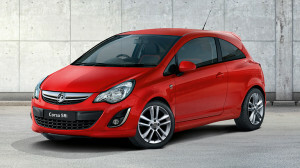 The corsa is my first choice because it is used by more driving schools then any other, and the professionals cant be wrong. Also with the cheap body parts in case of a minor collision with a lampost, you cant go wrong. 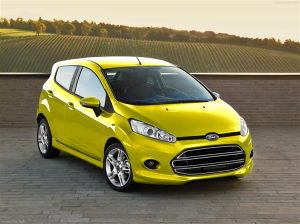 In addition to the affordable car insurance and relatively high driving position it is perfect for beginner drivers. The ford Ka well where do i start, im sure we have all seen this little car in are life time, this is the perfect car for a new driver to have a bit of fun in, the ka is lighter on its feet compared to the heavyweight corsa, also with the cheap insurance its a definite contender for you first car. The last car in my selection is a 107, i went for the 107 because its small cheap to run and easy to park, this will be perfect for beginner drivers, that will still be building confidence on the roads and in car parks. 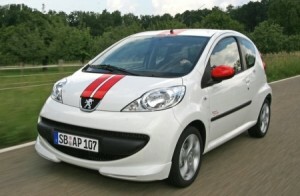 The 107 has a three-cylinder engine, it is quiet and provides good performance at town speeds. so don’t be afraid to ask for a lower price you got nothing to lose and everything to gain, in addition if you feel like you don’t like someting on the car don’t be afraid to just say its not for me and go. Finally if you are going to negotiate you need to become an expert in what you plan to buy, as this will give you confidence and help you negotiate and possible get a lower price on your car. Well i can only tell you my opion but i believe that riding a bike is stupid, yes it is cheaper but is the money worth the risk you will face every time you step on to it, also be preparde to be pulled over by the police as a young person on a bike automatically sets of alarm bells . And finally you need to decide where you will be driving if its short trips a small car is ok, but if you are going on regular long hall trips then you might want to consider a bigger car with a bigger engine.